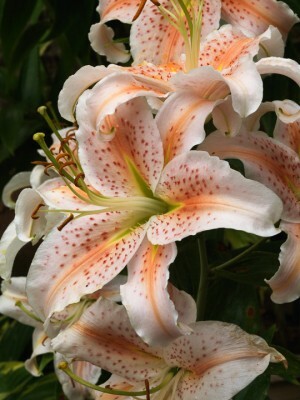 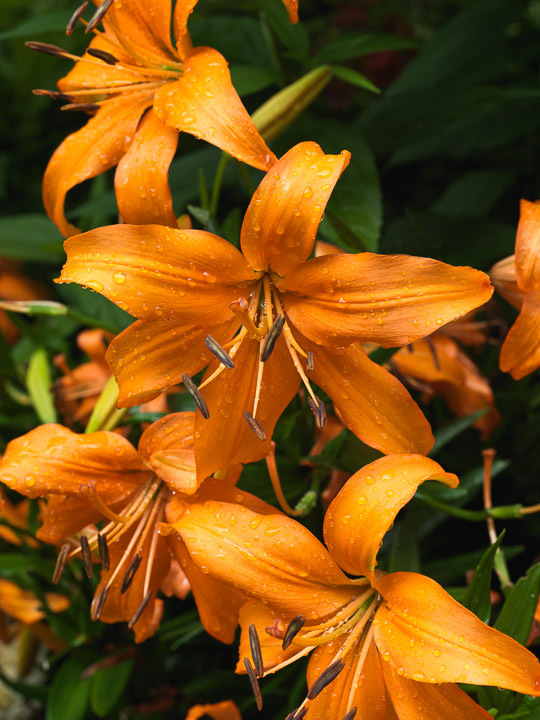 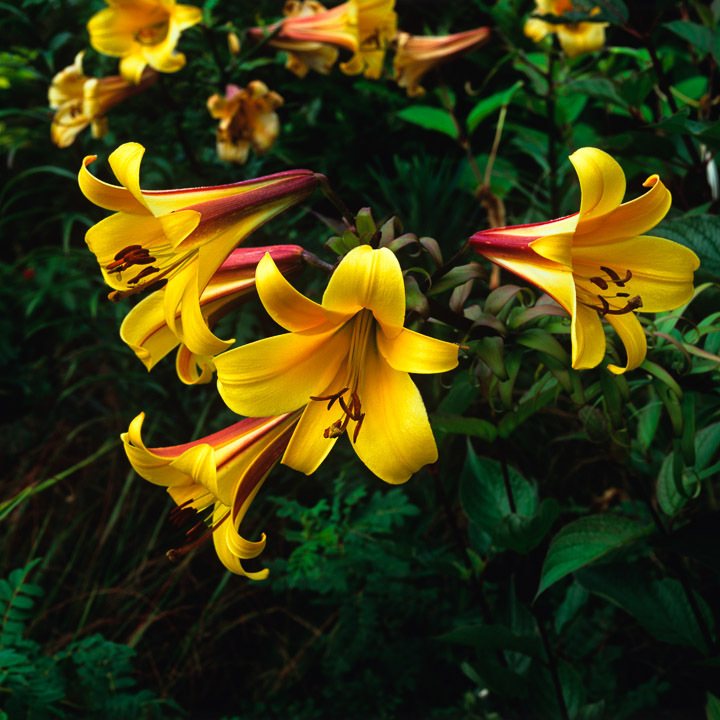 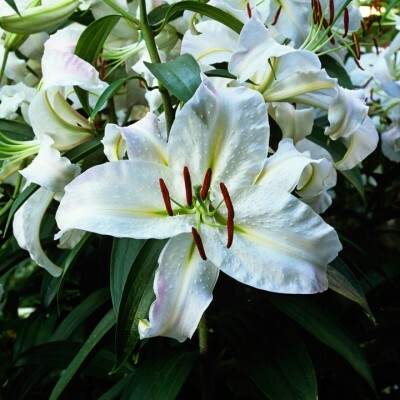 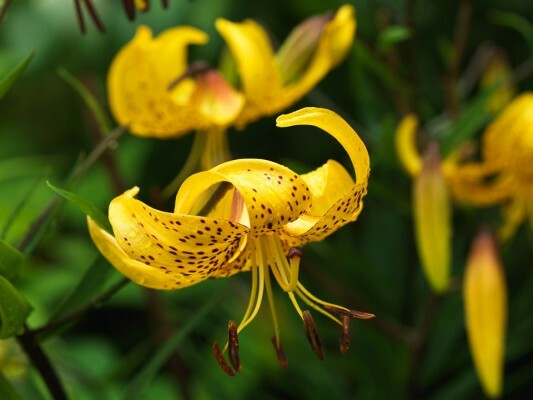 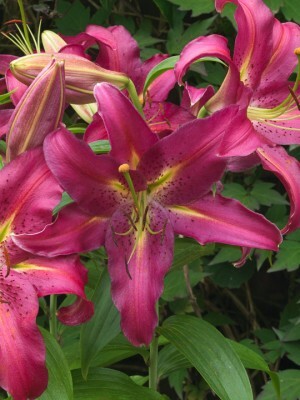 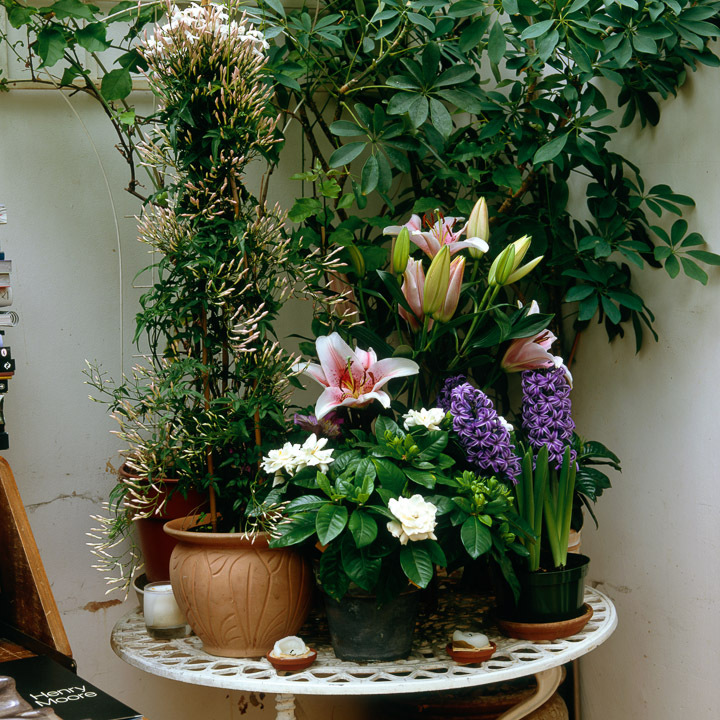 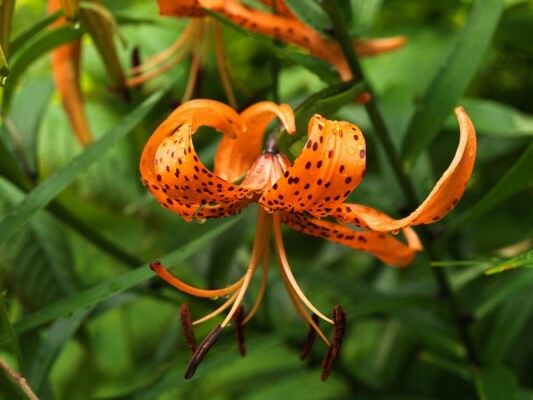 Many lilies make wonderful container plants, providing they are planted in deep pots filled with free-draining potting compost, and placed in a warm, sunny spot. 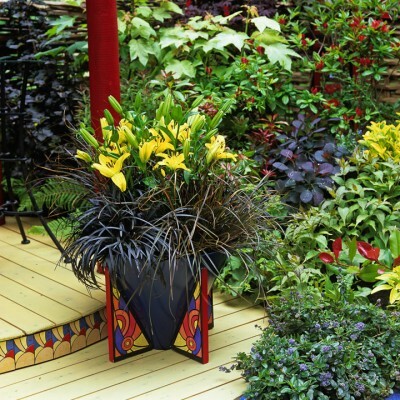 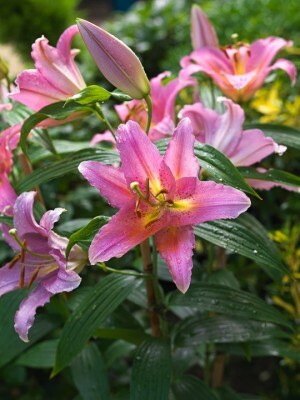 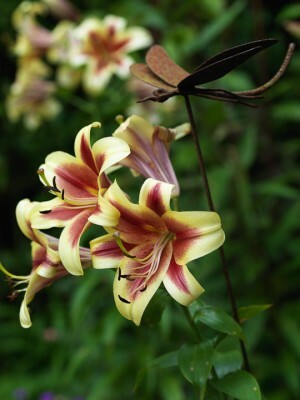 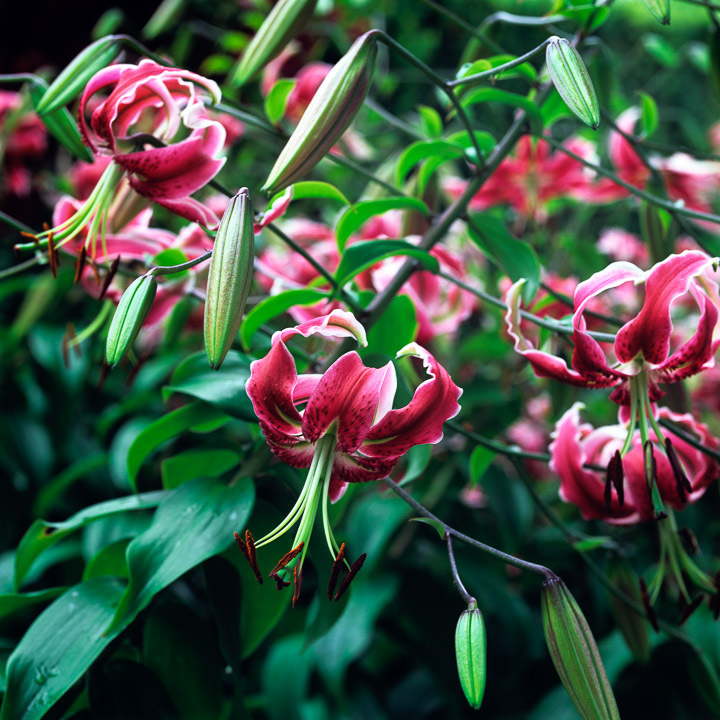 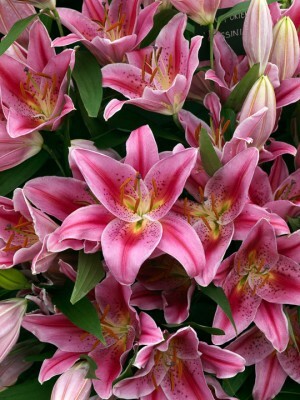 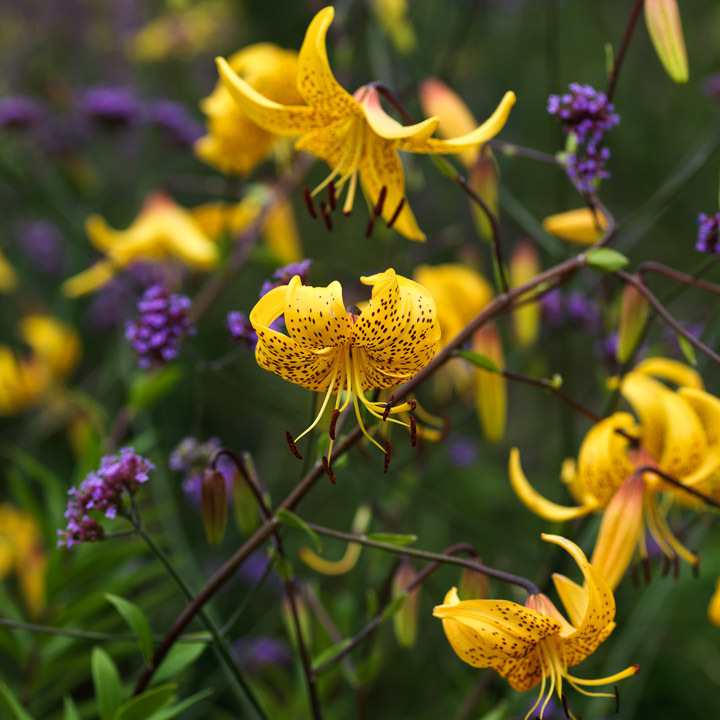 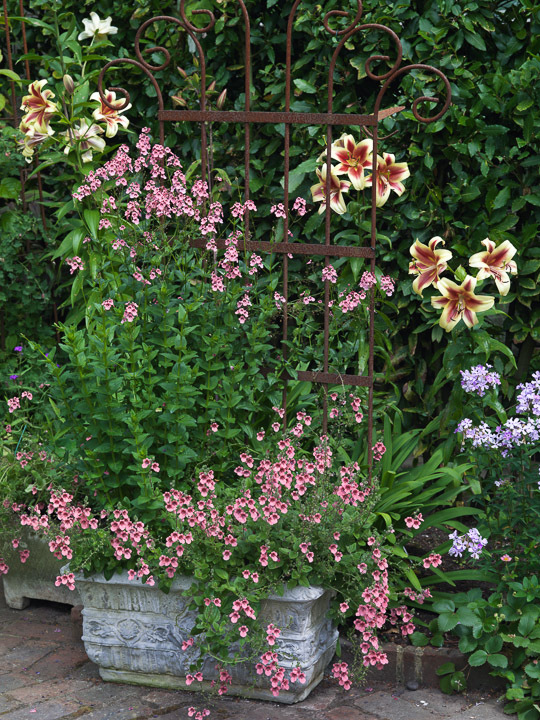 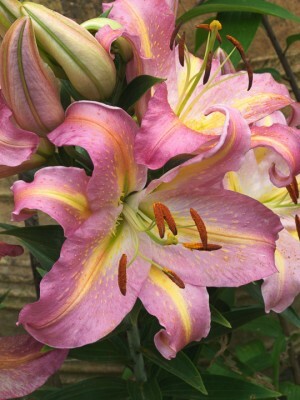 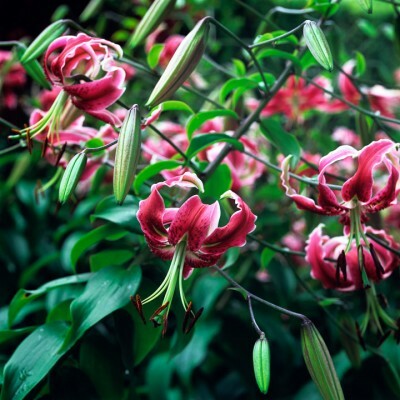 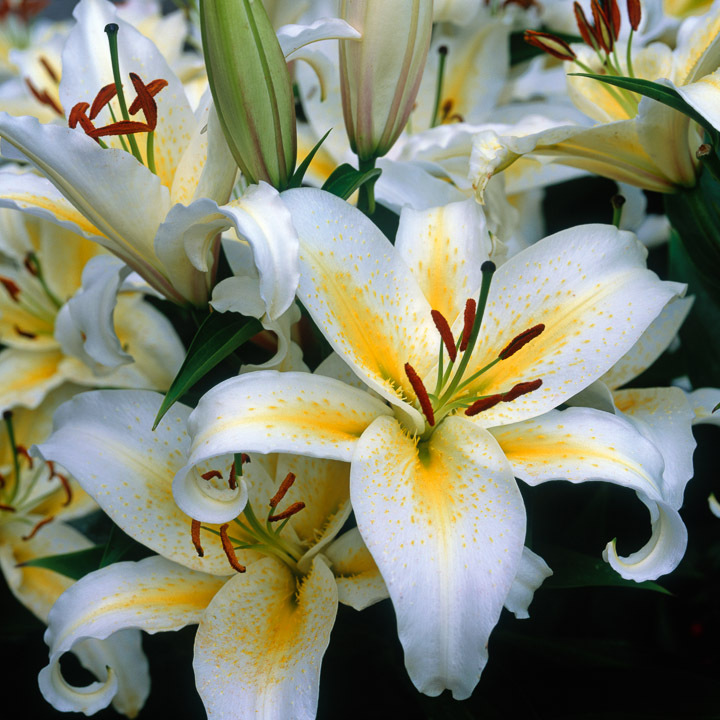 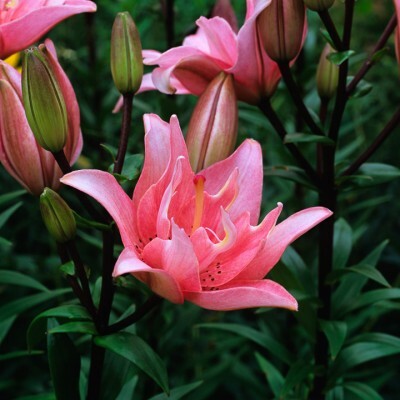 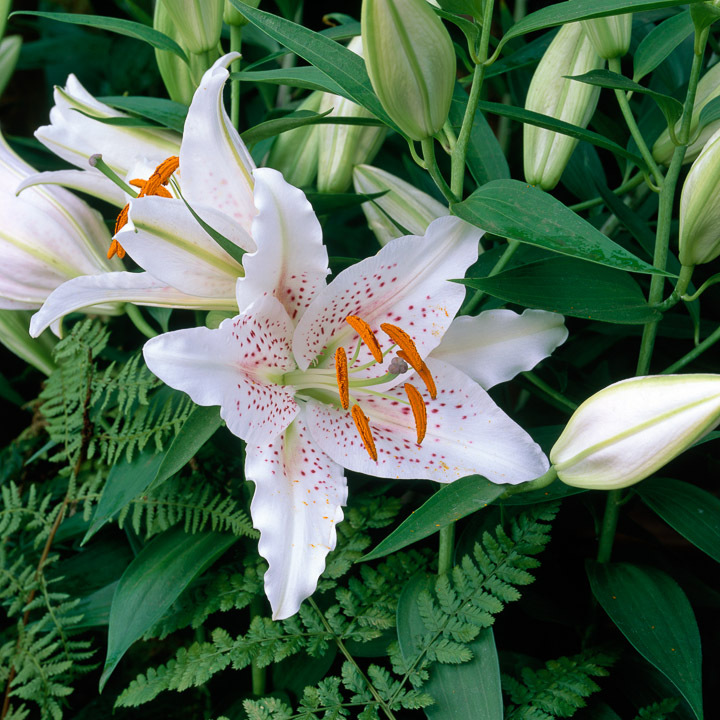 Lilies can be used either as the planned focal point of a container arrangement, or pre-planted during spring in plastic pots, ready to submerge into beds or border to fill any unexpected gaps. 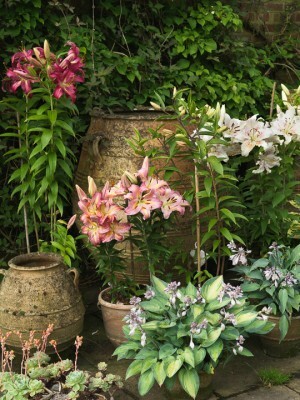 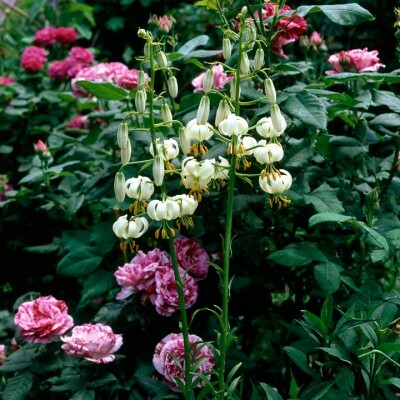 For extravagent, midsummer colour and fragrance, the Asiatic hybrids are hard to beat, and thrive in pots. 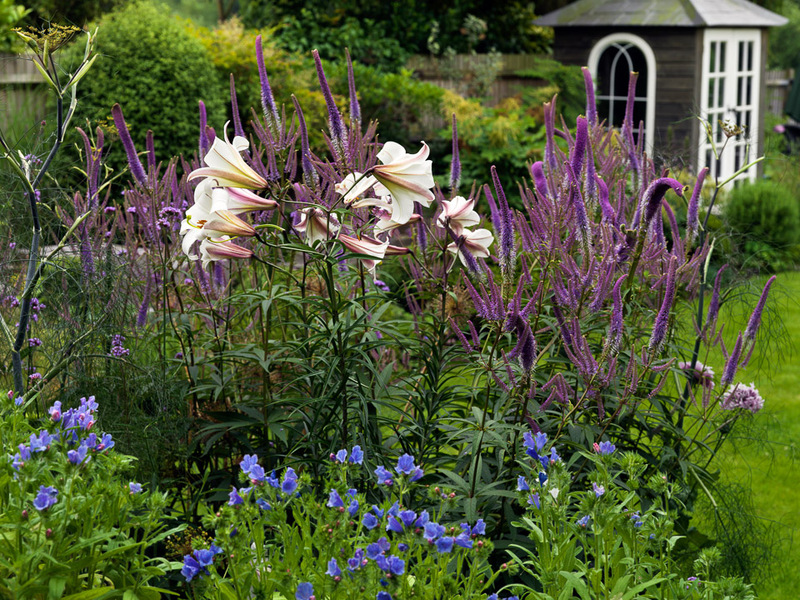 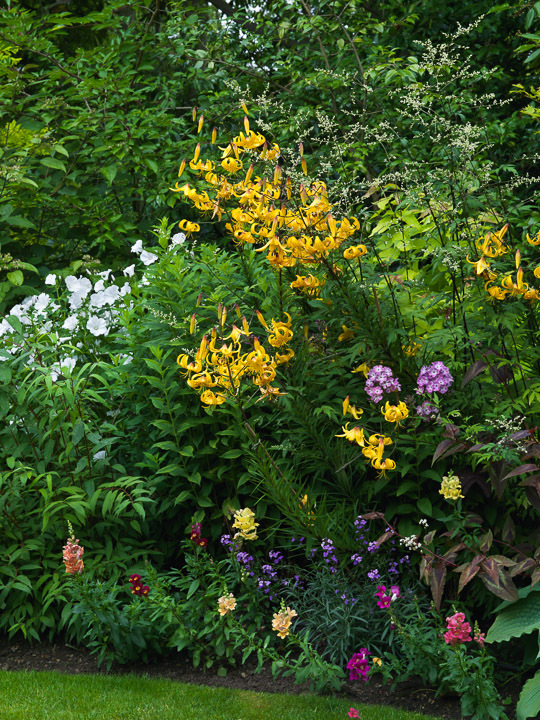 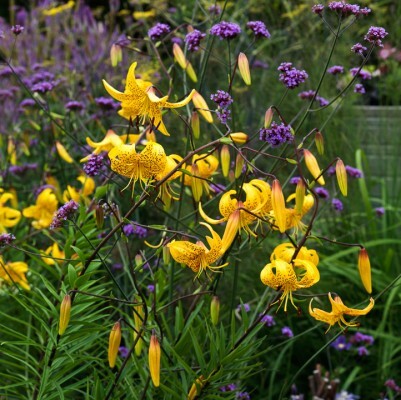 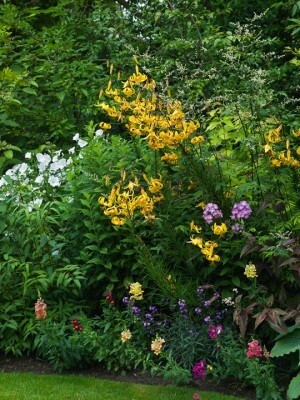 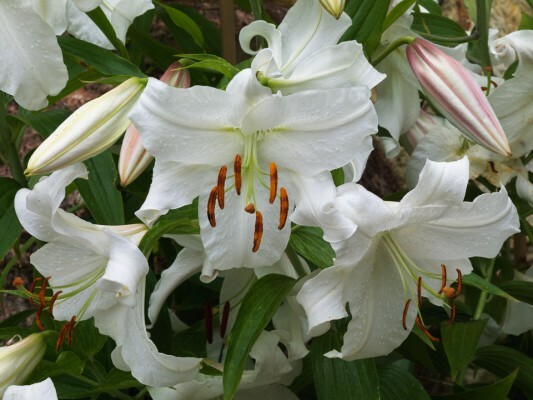 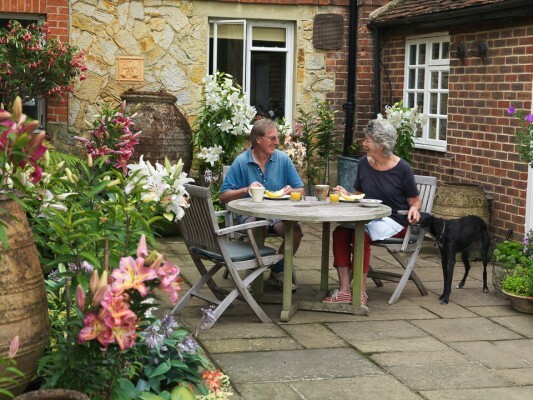 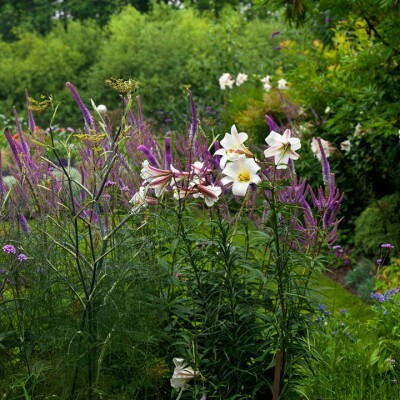 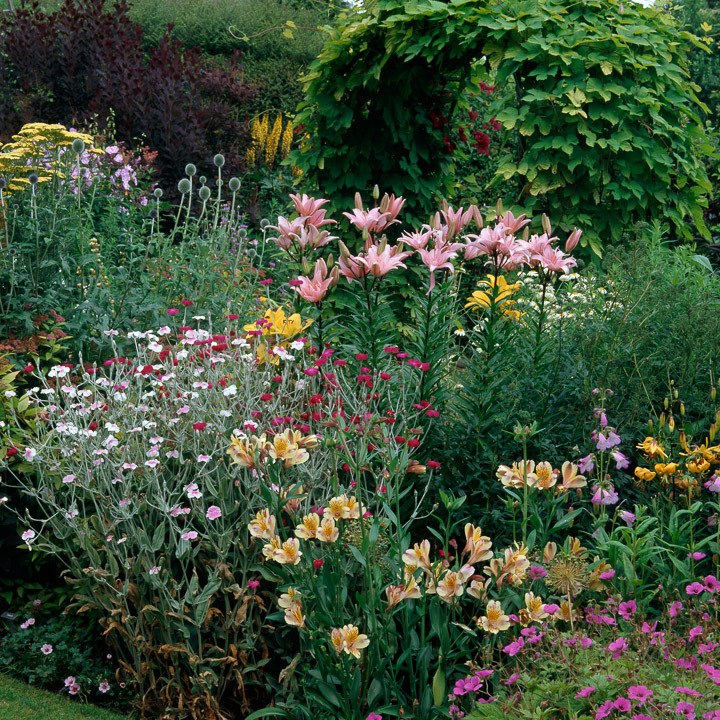 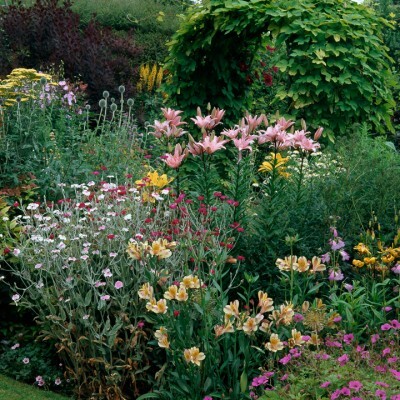 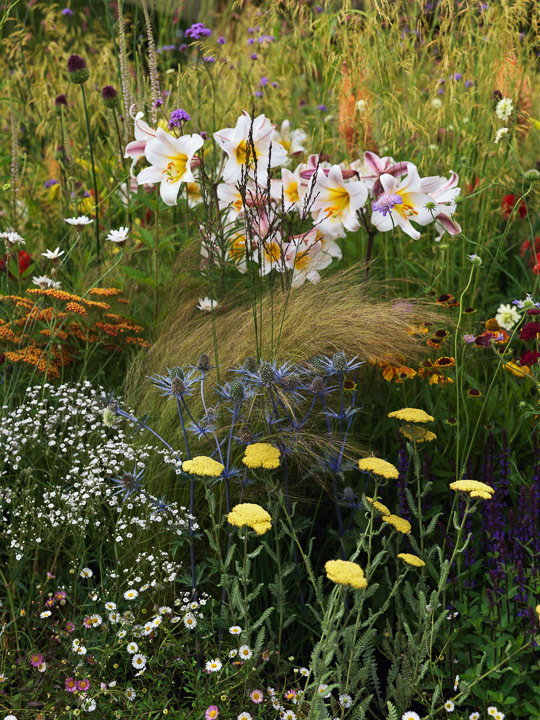 For planting directly into the ground, clumps of tall white Regal Lilies or the yellow or orange Tiger Lilies are marvellous for adding height and a sense of rhythm to a long border. 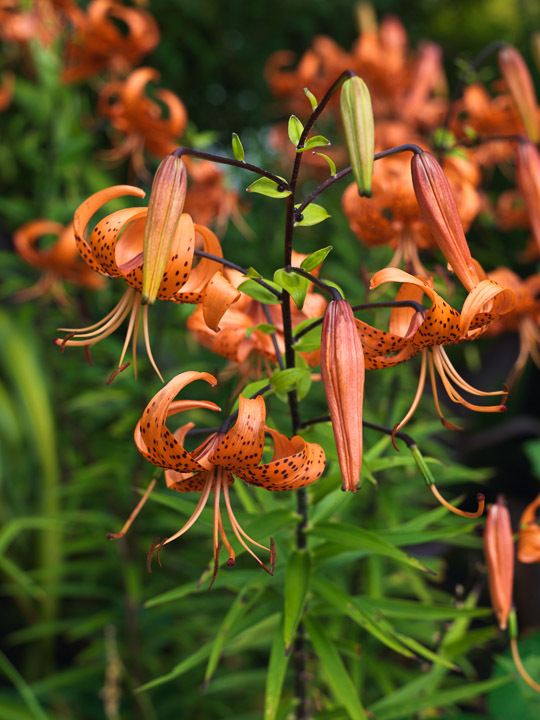 Red lily beetle is the greatest threat, stripping leaves and nibbling through buds, and the adults, larvae and eggs are easily spotted and removed by hand.